We have a great working relationship with realtors and realty companies. Often times they are given homes that they need to get ready to put on the market, and there is important work that needs to be done before that can happen! One of our Keller Williams realty customers gave us a call about a mobile home they were putting on the market. 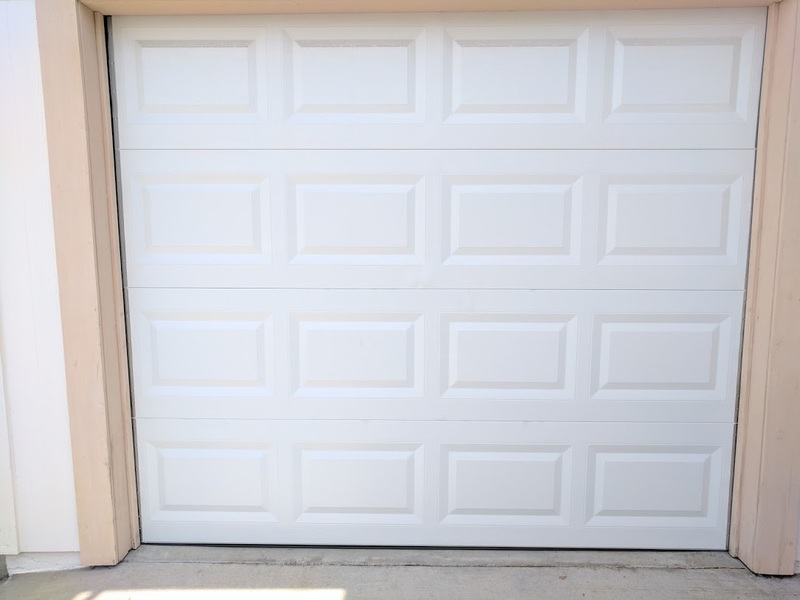 The garage door was damaged and needed to be repaired before the first open house. As you can see, the bottom two panels were damaged. Most likely at some point, someone bumped into the door with their car. When we arrived and inspected the door we confirmed that only 2 panels were damaged. Thankfully for the realtor and the homeowner, it was only two panels, which made replacing them instead of replacing the entire door, the best choice. Replacing 2 panels is a lot cheaper than ordering and installing a new door. We ordered 2 new panels to replace the damaged ones and got to work installing them. The door looks great now! Importance of curb appeal when selling your home! 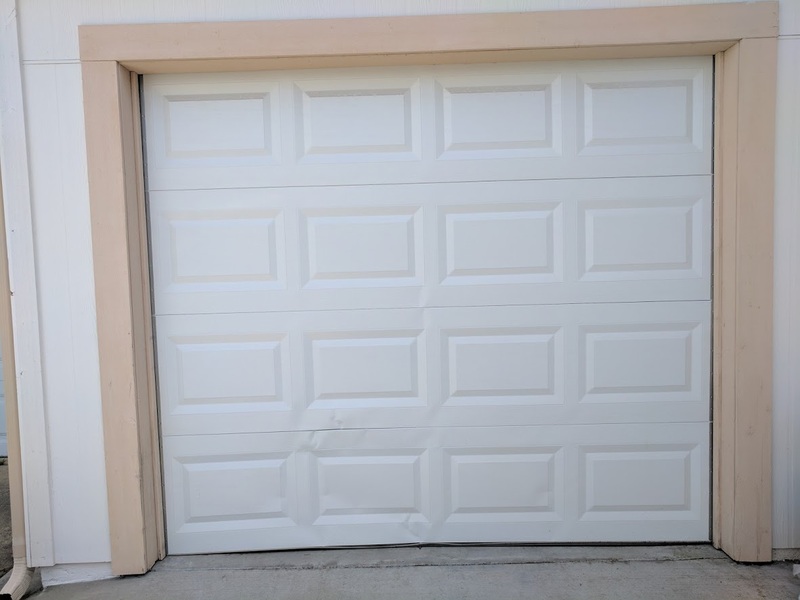 The damaged panels didn’t do much to affect the functioning of the garage door, but curb appeal is very important, especially when selling a home! This quick fix, especially as compared to replacing the entire door, made a huge difference during the sales process for this home. 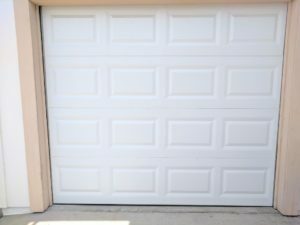 If you have an older garage door, it can sometimes be more cost effective to replace the entire door. Especially if you are selling your home, a new garage door adds instant value and helps tremendously with the exterior curb appeal. In this case, the door was in great shape, and spending a small amount of money to update the damage, made all the difference! The house sold after only 1 week on the market! 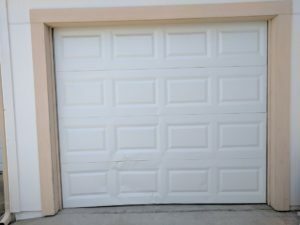 This entry was posted in Blog, Garage Door Repair and tagged damaged panels, garage door panels, panel repair, panel replacement. Bookmark the permalink.